Candy makes kids happy, dentist pay their mortgage and adults realize they’re awesome because they don’t have to ask for permission! Hell Yeah Candy! 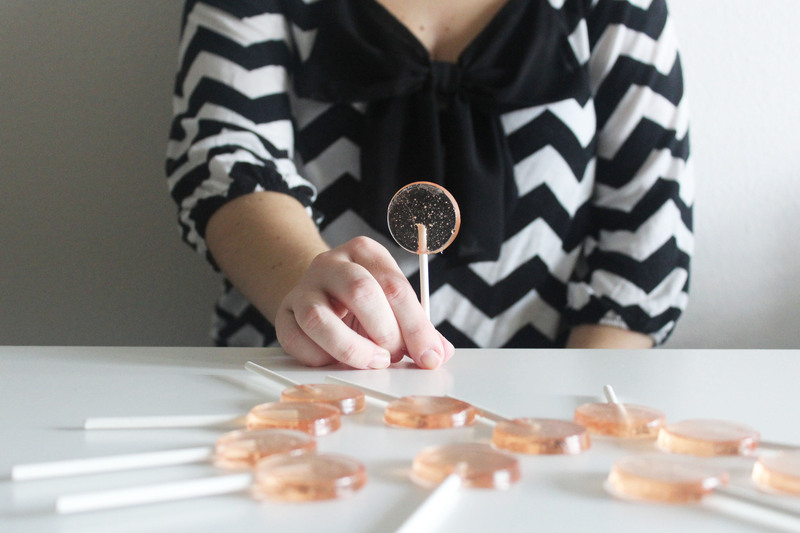 I feel like I don’t post enough candy recipes on this blog and I need to start changing that; it’s truly one of the easiest things to do as long as you’re given detailed instructions and what’s cooler than making your own candy at home! Plus, it’s healthier as well….which isn’t always first on my mind sadly. 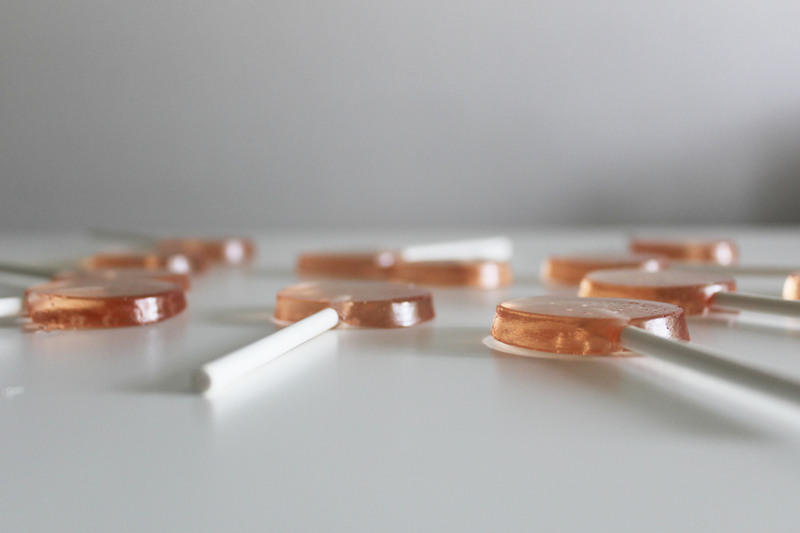 BTS: When it came to making these candies, I was torn on the flavors; I couldn’t decide on Lingonberry or pomegranate, ultimately Lingonberry won just because it was nearing an expiration date. The first trial I tried 2 tablespoons of regular concentration but the flavor just wasn’t there, which is why I was originally torn, for me personally with confirmation from the remainder of my apartment, Lingonberry concentrate doesn’t have that much of a pungent flavor as opposed to pomegranate where you know instantly what it is, so on the next trial I reduced the concentration. How crazy is that?! A concentration of a concentration, that’s something to remember; but it helped make the flavor more dominate. Use a bigger pot, although you should note that it will make a candy thermometer read harder and your candy will cook quicker. Wear candy or oven gloves along with long sleeve shirts, it’s better to have candy on your shirt than on your body. 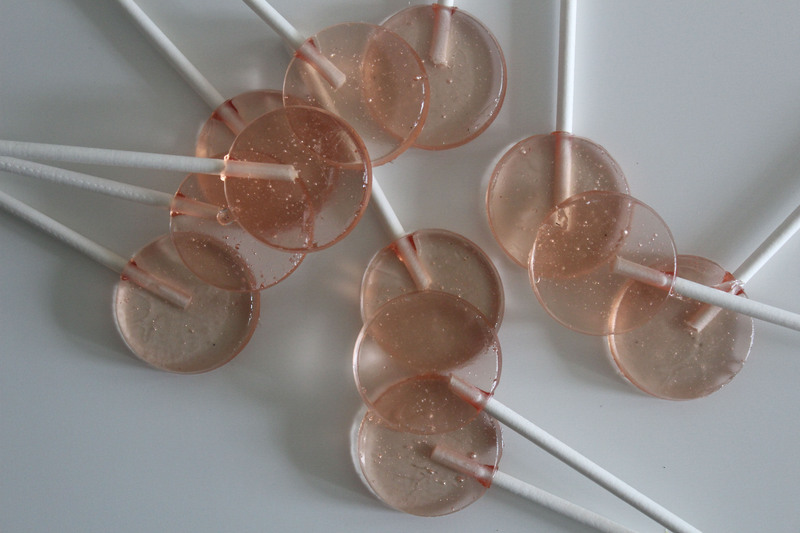 Another thing to be mindful of is that the candy is starts off really hot but cools down quickly, so you want to work as quickly and as carefully as possible. This recipe doesn’t make an enormous amount so you need to be wary of cool down time, but scooping and dropping of the hot sugar should and could be done in a timely manner and not with children, while I know the thought of making candy with children is something to be admired, the potential of little hands getting in the way is too much of a health hazard. 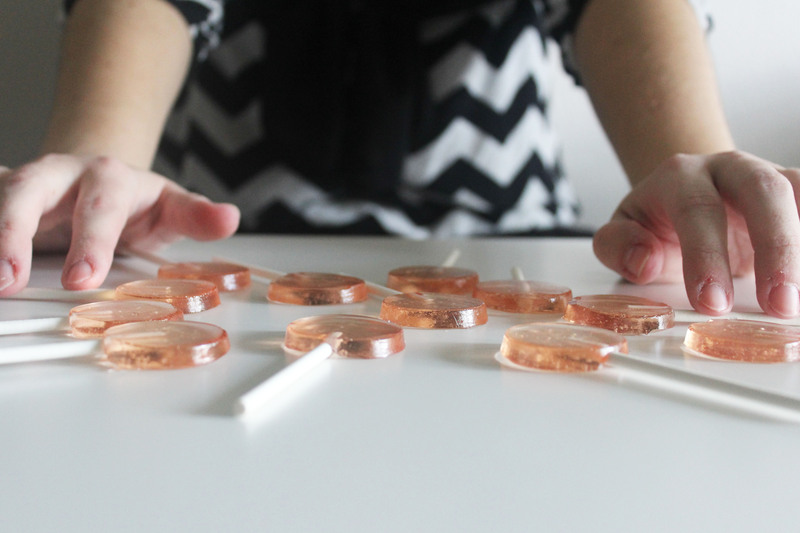 Taking the lollipops out of the molds and lining them up and playing with them afterwards might be a better idea with children. 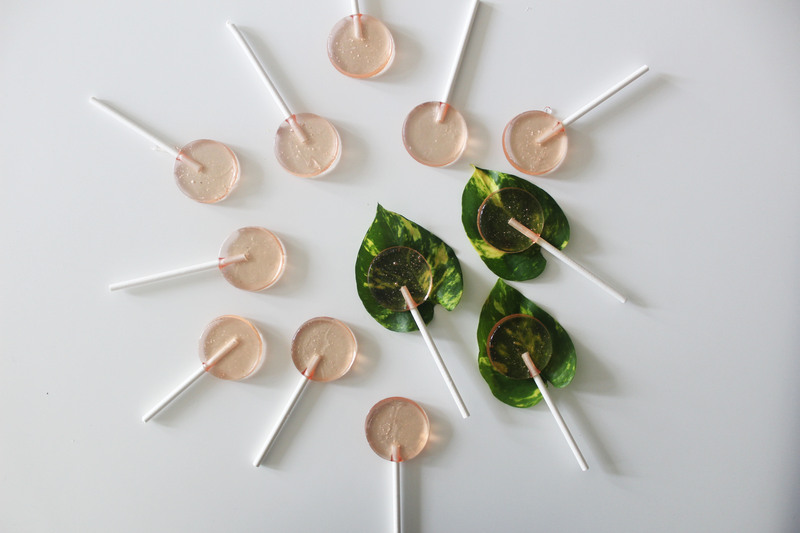 The lollipop will be translucent to a great degree once it’s cooled down. I love this because it looks like little jewels and amazingly breathtaking in the light! I’m constantly in awe of it. 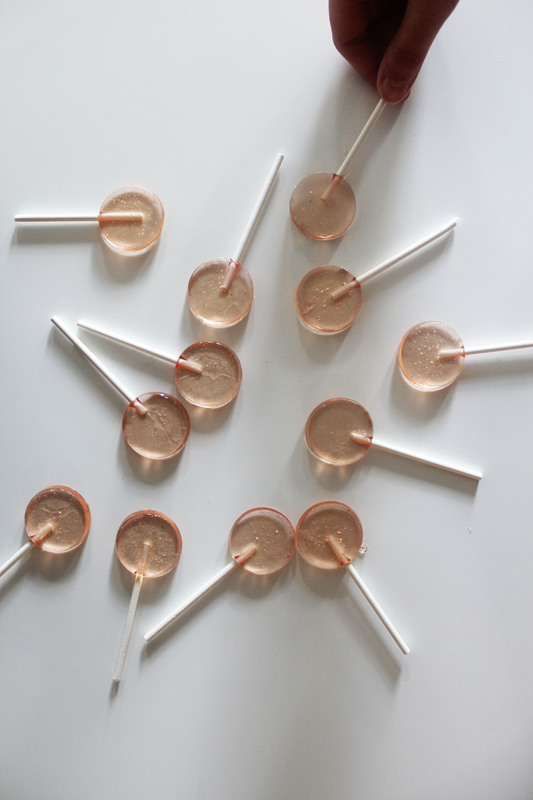 Grease your lollipop molds, parchment paper, candy thermometer, spoons and whatever other tools you’ll be using. Candy gets stuck to everything, including you and to get an easy clean out of it, a good light oiling is necessary. 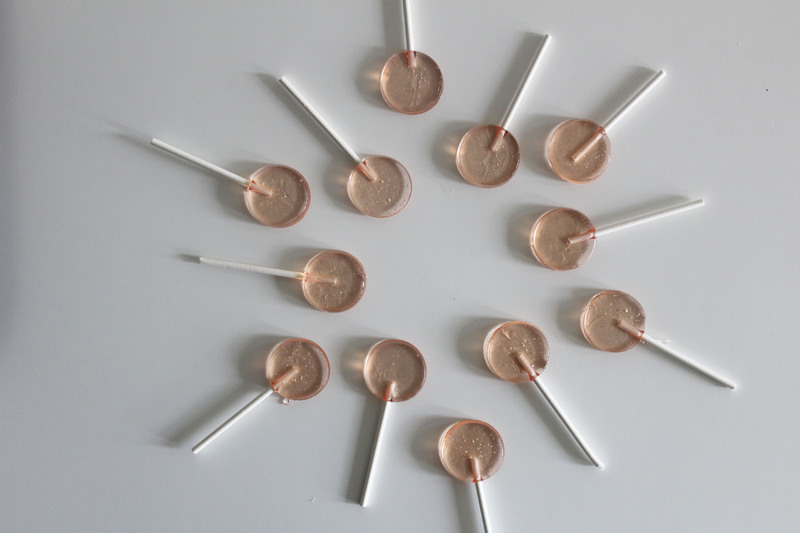 Keep the stove heat on medium, medium high at most, in the beginning of the directions you need high, but as soon as you see a boiling turn the stove town, it gives you more of a handle on your candy and more control over how fast the process is going. 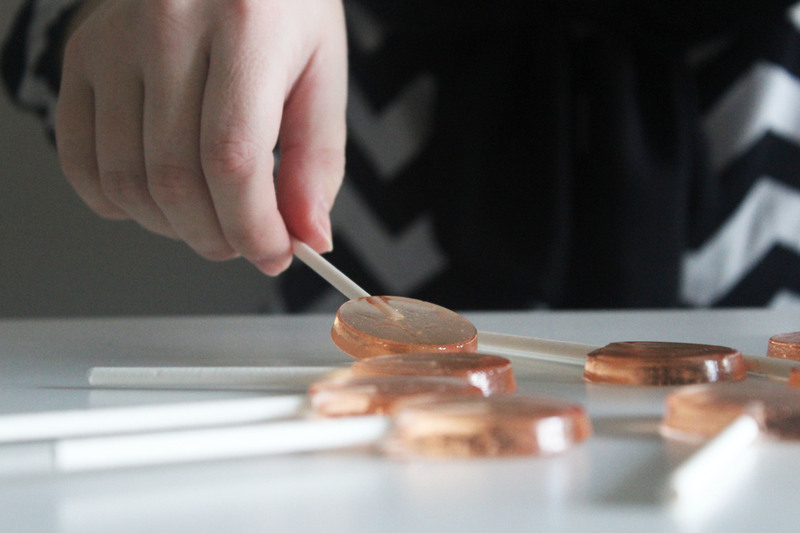 Use a larger spoon, like a soup eating spoon, all lollipop molds are basically the same size and I’ve noticed that my large soup spoon gets the job done for the amount of lollipop syrup each mold needs. It makes it easier as you don’t have to go back for more syrup, you can simply move on to the next one. Enjoy the Process: yes, candy making can be difficult, but as long as you’re prepared and taking it easy it will all work out, the actual work of this lollipop is no more than 30 to 45 minutes, and the ease is granted as long as you follow the directions and don’t go all Top Gun/ Die Hard/ Bourne Series or any other “I don’t play by the rules” movie.